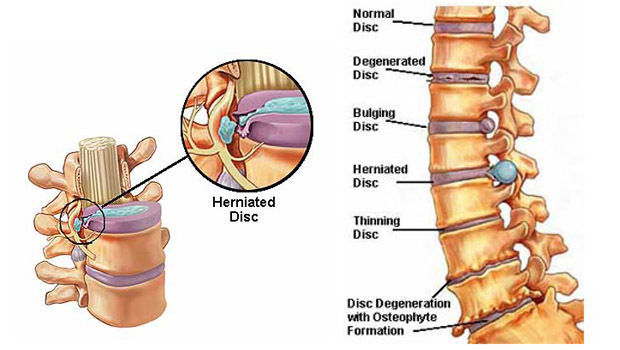 A herniated disk is a common problem occurs to people’s spine. 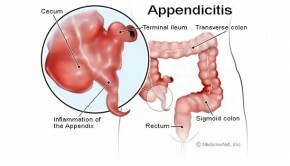 It can be very painful and will definitely prevent you from daily working or other activities. When all or parts of a disk in your spine push out in a weakened part of the disk, it will press the nearby nerves and cause severe pain. Read this article to have a better understanding of the symptoms and treatment of herniated disks. Pain in arm or leg if you get a herniated disk in your lower back, there will be a severe pain in your buttock. 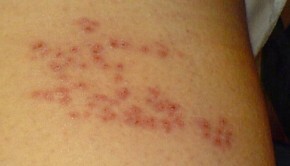 The pain may also radiate to your leg and foot. If your herniated disk is in your neck, then you will feel intense pain in your arm and shoulder. The pain will get even worse while coughing or sneezing. Numbness or tingling Victims of herniated disk may also feel numb or tingling in the places of affected nerves. Weakness nerves pressed by a herniated disk will weaken the muscles around them, as a result you may not have the strength to lift things or do heavy work. Have a good rest once the pain starts. But do not have too much bed rest, which will cause stiffness in the joints weakness in your muscles, therefore delay your recovery. The right way is to rest one position for 30 minutes, and then work around for a while. Avoid activities that will provoke your symptoms, especially some heavy labor work. For patients of a disc herniation, alternative use of cold and warm compress will act as an effective painkiller. 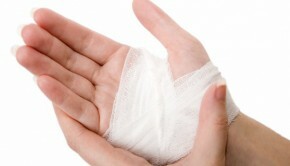 Hold an ice pack to the painful area for 20 minutes. After the cold compress, soak a towel in the hot water and rinse it, cover the tower on the same area. Repeat this circulation for several times daily. 3. Take pain relievers. Painkillers, such as ibuprofen (Advil others), naproxen (Aleve, others) or acetaminophen (Tylenol, others) are available in the over-the-counter sector of your local drug store, take one of them according to the instructions to reduce the pain. 4. Try anti-inflammatory medications. If your pain is unbearable, ask your doctor to prescribe you with anti-inflammatory medications. Intake of this type medicine can help to relieve some pressure on the nerves by reducing inflammation. Perform regular exercise. Exercise will strengthen muscles and give better support to your spine. Keep good posture. Keep your back straight while walking or sitting, especially when you are going to sit for a long time. This will help to relieve the pressure on the spine and disks. Control your weight. More weight will add extra pressure to the spine and disks, making them prone to disc herniation.